Bar Service menus, Cutting Edge Catering, Catering to your every Whim! Serving Joilet and the entire Chicagoland area! This package is designed to assist our clients when they wish to provide their own liquor. Prices are based on a minimum of 75 people. Prices are subject to a Bar Helper Charge. Call for Smaller Groups, Cash Bar & Non-Alcoholic Open Bar Options. Also Included: white linen tablecloth with black skirting for the bar, plastic tumblers, ice, bar fruit, uniformed bartender(s) & all serving equipment. While beverages are subject to change according to current popularity, all beverages will be of same high quality. All prices are subject to applicable sales tax, delivery & service charges. 15% prepay gratuity if tip jars are not allowed. 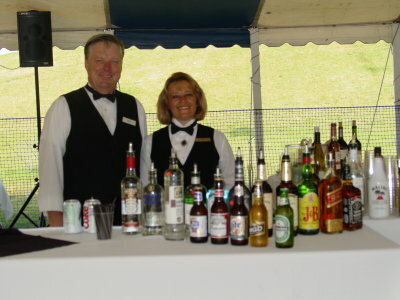 Bar Packages at: George’s 174 or The Barber & Oberwortmann Horticultural Center are different, please see their Brochures.